Before the rise of religious extremism, communism was considered as the greatest threat to Pakistan. As the western world led by the United States is urging and supporting Pakistan today to root out the evil of militancy; with similar zeal and zest it convinced us to combat communism in the past. Pakistan’s ongoing struggle against extremism is history in the making; its fight against communism is history, now. As so often happens in the battle of ideas, one narrative eventually dominates the other: in the case of Pakistan, the state’s narrative against communism remained victorious, nevertheless it is equally important to know how Pakistani communists evaluate their defeat. Unlike the Communist Party of India that set up a History Commission tasked to write a multi-volume history of the Party, there are only bits and pieces of hidden and not-so-known evidences that shed some light on the history of the Communist Party of Pakistan (CPP). In such a situation, the recently published autobiography entitled “Leaving the Left behind” by Professor Syed Jamaluddin Naqvi, who served both as a member of the ten-member decision-making Central Committee as well as the four-man Politburo, the ultimate decision-making body of the CPP, is a first-hand account and thus a rare piece of primary historical evidence for those interested in communist politics. The biggest charge against the CPP was that it was anti-state which it never was. Was it then anti-government? Yes, “it was anti-government for most part of its existence but that is what politics is all about.” Could the Party bring a “Red Revolution” here as the Commies had done under Lenin in Russia and Mao in China? “Nothing could be farther from truth” is the disclosure of Naqvi, however, the Party did make the grave mistake of allowing people to assume that “it was out to take over the country,” for which it had to pay a very heavy price in the sense that it allowed its opponents “to paint it in whatever colour” they liked. Although the “Red Menace” was propagated as a potent threat to the governments of the day yet neither the CPP had the electoral numbers to win any election to form a government nor did it have the muscle to overthrow any government because while it did win a few seats in the 1954 elections and though the March 1968 issue of “The American Political Science Review” quoting a US State Department estimate put the CPP membership to be approximately 3000; it was an inflated figure because when the Party was at the peak of its popularity, its membership was only between two to three thousand and its total sympathisers throughout the country were not more than 150,000. The CPP was formed around 1948 at the height of the Cold War politics and the moment Pakistan signed a bilateral treaty with the US, the CPP was banned in 1954 which forced the Leftists to first form a new party, the Azad Pakistan Party under Mian Iftikharuddin and later merged it with the National Awami Party (NAP) in 1957 in which the communists had a little say because the shots were called by Wali Khan, about whom the author is quite critical: “Wali Khan had his way of dealing with electoral politics. Like most others he was not averse to the idea of getting ‘permits’ and ‘licenses’ for himself and his followers to keep them satisfied” (p 72). 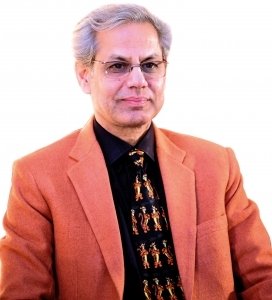 Equally bitter is Naqvi about the PPP founding chairman Zulfikar Ali Bhutto whom he dubs a ‘trickster’ and the blue-eyed boy of the establishment under whom the entire Left suffered a lot in spite of the fact that it was he who lifted the ban in place on the CPP for almost two decades. His reminiscences of the Bhutto years are quite revealing. Not only the CPP knew that Bhutto had the backing of the powers-that-be in the 1970 general elections; the CPP also bore unrelenting pressure from Moscow to support his election campaign which was very difficult keeping in view the fact that CPP was using the political platform of NAP, which in turn was the archrival of the PPP in West Pakistan. Once Bhutto was elected, there was constant pressure from Moscow that the Pakistani communists must extend full support to his government because through the Yugoslav leader Marshal Tito, Bhutto had communicated to Moscow that if the Russians would support his government, he would shift Pakistan from the American to the Soviet camp (p 72). And when the chips were down for Bhutto during the PNA agitation, he called Nazeer Abbasi, one of the leading communist leaders from his cell and sought open support, to which the latter replied: “How can I do any sort of campaigning sitting in prison?” (p 78). Although Nazeer was not released, the CPP did decide to support Bhutto in principle because the PNA was an unnatural alliance of the extreme Right and the ultra Left that was manipulated from behind by invisible forces. In order to put pressure on Zia to release the incarcerated Bhutto, implicated in a controversial murder case, the CPP designed a Four-Point pro-democracy plan which included street agitation and handed it to Benazir for the approval of Bhutto, who rejected the idea because he was sure that only he could manage the Afghan crisis caused by the Soviet intervention to the satisfaction of the global powers and sooner than later Zia would come running to seek his support, and thus “wanted no street protest that might put pressure of the wrong kind on Zia” (pp 79-80). During the Bhutto years, the communists had just ‘suffered’; under Zia, the CPP was ‘tattered’ and ‘destroyed’ as the only place left for the committed communists was either jail or exile. Though the six-year Ziaist imprisonment could not shake the resolve of the author, the break-up of the Berlin Wall and the winds of change in the Soviet Union caused an ideological disillusionment that culminated in his resignation from the CPP in late 1990. The commitment of over forty years with the communist ideology vanished in thin air when the Russians invited him to visit Moscow after his release. As “the Reddest of the Red”, he believed that whatever negative was said about communism was nothing but mere propaganda of the imperialists and in the process failed to realise that the Pakistani communists had themselves become the victims of the communist propaganda being unleashed by Moscow. The Bolshevik Revolution had promised a classless society free of social divisions but the author was shocked to see a three tier shopping system in Moscow. The top tier of the communist leadership shopped from shops that offered the best of the local produce as well as the imported goods including the stuff imported from “the crooked capitalist states”; the workers of the Communist Party could shop from the shops which had local produce but no imported items whereas a third category of shops catered the common man, who had to stand up in queues to buy essential goods which were often in short supplies.